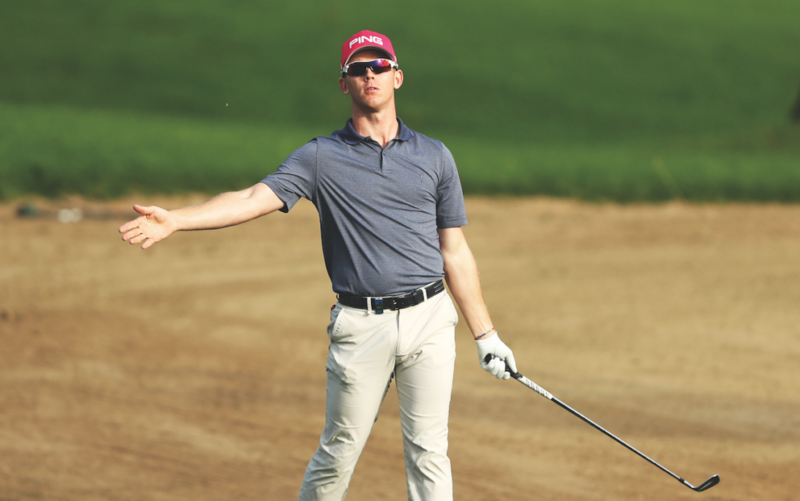 Compleat Golfer’s playing editor Brandon Stone takes us into his world again as he continues his European Tour travels. When I agreed to be the playing editor I promised one thing: honesty. So that’s what I intend to portray. I want all our readers to get a better understanding of professional golf, the well-documented successes and the misunderstood ‘failures’. Results-wise, this past month in the Middle East was far from ideal for me, but that doesn’t mean it was a step in the wrong direction. In fact, it was far from it. As I discussed with editorial director Gary Lemke in December, I’ve made some changes off the course that I know will hold me in good stead, not only for this season, but for the remainder of my career too. When I made that decision I understood it would take some time for me to adjust to my new regime. I went from training maybe twice a week to now doing 10 variations of training during a week, and I’m absolutely loving it. I can feel my energy levels increasing, my strength improving and my ability to control the club developing every day. I’m already beginning to see physical changes. I haven’t quite moved out of my medium-sized shirts yet, but I’m also not expecting to have Brooks Koepka’s arms any time soon. But as long as I continue to see results, I will be happy. Don’t get me wrong, I’m still extremely disappointed to have missed all three cuts this past month in the desert. There’s nothing worse than missing cuts, especially by such small margins. But the game is not far off at all. The swing is looking and feeling great. However, I just struggled to convert opportunities I gave myself. Averaging 32 putts a round as a professional golfer is only going to result in you cutting down on the steak dinners and spending more time in cheap hotels than you’d care to. The rule of thumb on Tour is that in order for you to win, you can’t have more than 110 putts over a week. The stats support the theory. So it’s safe to say I’ll be spending a lot of time on the putting green over the next few weeks. Overall, the trip was still great. I crossed off Saudi Arabia as the 45th country I’ve visited, which was an experience. The Saudi International, the European Tour and their players came under heavy fire for the event. I do understand this point of view, but at the same time I never doubted whether I would participate in the tournament. Justin Rose’s statement at the Farmers Insurance summed it up: ‘I’m a professional golfer, not a politician,’ and I agree. I’ve played events in Kazakhstan, Azerbaijan and Turkey, all of which have their own reasons for criticism, but I still went. I do understand that maybe Saudi Arabia is on a different level in this regard, but the event was great. We stayed in an amazing hotel with incredibly friendly staff. I found the course entertaining and beautiful, with the 16th hole added to my list of all-time favourites from the moment I stood on the tee. And they had a deserved winner in Dustin Johnson. From my viewpoint it was a success. It’s great to see how golf is developing in the Middle East. This season we’ll be visiting the area five times, which is remarkable. The golf courses, practice facilities and climate (in the winter) are among the best in the world. If you’re an aspiring pro and want to develop your game outside the borders of South Africa, I would strongly suggest a trip.